>> What Can You Do When You Feel Judged All The Time? “Life is a process of self-discovery and self-acceptance. It’s so rewarding. You never know what else you will accept and appreciate about yourself, when you take the next turn.” -I think. We are paralyzed by the fear of being judged. We feel discouraged, and rejected when we FEEL judged. How do we know people are judging? We grew up with them. Or we married them. Or we worked with them. Even if we left the judgmental environment, we still can feel judged. The echoes of criticism still live in our mind, merging with our own inner critics. It is as exhausting as it is depressing to fight against them. Throughout the years I observed what has been happening in my own psyche, as I have been liberating myself from self judgement…. and as I have been handling being judged by others. There is a rewarding feeling that comes from noticing: I stopped judging myself about what I used feel not good enough about. It’s no longer an issue. You can keep judging me, but if I accepted this fact about myself, your judgement has no ability to hurt me. The answer to”how to stop feeling judged by others” is to stop judging yourself. One day a major (self) judgement attack hacked my whole system. I was baking a cake… then another cake… And for the whole time I heard in my head how I cannot bake a cake. As a result, one cake was a bigger mess than the other. It is easy to mess up a gluten free cake, let me tell you. So after releasing a river of tears… something happened beyond logic. People asked what is wrong. And I answered. I let myself express my thoughts. As I was speaking I heard one nonsense after another nonsense – nonsenses I believed in. As I heard myself talking, I suddenly witnessed, how the thoughts were nothing, but a ghost from the past… and I was free. I realized months later that my reaction was so emotional because it was purifying. I was getting over the memories of being judged in my childhood. I was getting them out of my system. Few days later I was doing something I wasn’t confident about, and I started observing my thoughts. I noticed that even the “normal” judgement was not there. I looked for it. In that moment I realized – I accepted that part of me that was judged before. I wasn’t being perfect, I simply accepted that I’m doing things the way I’m doing them. When you release self-judgement – you stop feeling judged. When you work on accepting all parts of yourself – the judgement from the outside loses it’s power. Your self- acceptance needs to be more important than the opinions of others. You have the AUTHORITY over your own life. You live for yourself and those you chose to have in your life. You live to achieve your true potential according to you life’s path, not their wishes for you. It’s something you will never regret. The remedy to feeling judged is self acceptance. 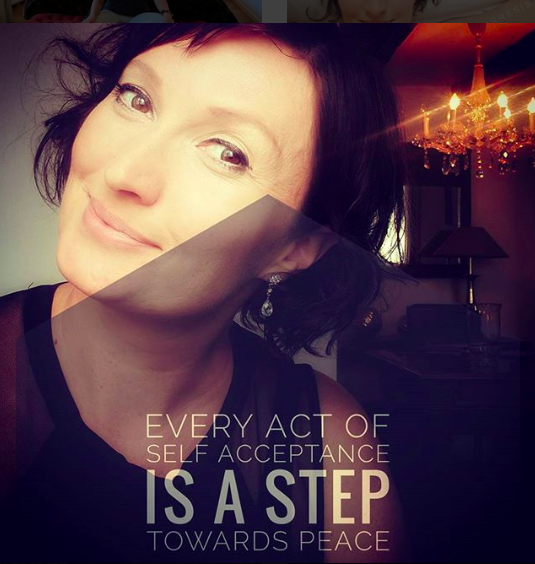 Do you want more on self judgement and self acceptance?